Forget update Wednesday, today is about Google’s devices, the new store they plan to sell them through, and a new addition to the line-up. Announced moments ago, say “Hello” to the Google Store, your place to learn about and buy all of the devices made by Google. In the new Google Store, you will also find the new Chromebook Pixel, which introduces some new tech and a slightly lower price tag than the original. According to Google, as more products have been added to their family in recent years, they decided that they would make it “easier for you to learn more about them.” And so, we have the Google Store, which is separate from Google Play. 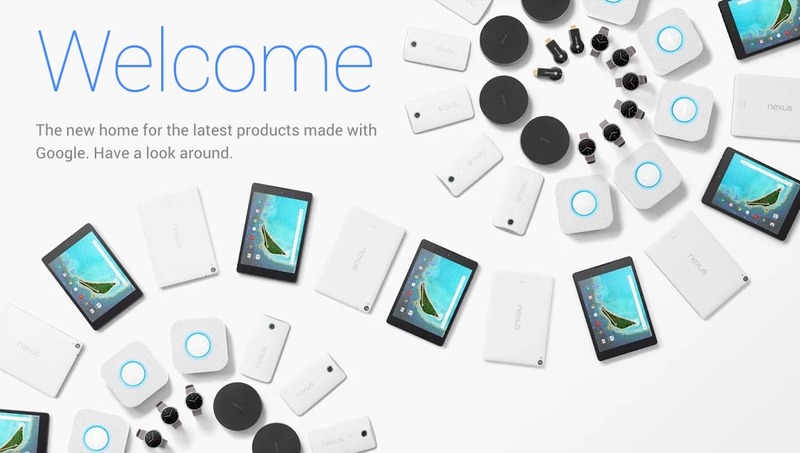 On the Google Store, you will find everything from Chromebooks (like the new Pixel) to Android Wear and Nexus devices. The new Google Store is available on your phone, tablet, and laptop. If you recently purchased a device from Google Play, Google assures us that your order info with automatically be moved to the new Google Store. You can visit the Google Store here. As for the Pixel, it’s a lot like the original Chromebook Pixel except it’s more powerful and includes new tech. The new Pixel features a high-resolution touchscreen, aluminum body, and a smooth glass trackpad, but has been upgraded with a wide-angle camera, Intel Core i5 processor, 8GB RAM, and a 32GB SSD. It even has a turbo charger that can give you two hours of battery life in just 15 minutes. Speaking of battery life, the new Pixel can last up to 12 hours on a single charge. There will also be an LS (“Ludicrous Speed”) version for those who need even more power. Finally, the new Pixel features two USB Type-C ports for multi-device charging, high-speed data transfers, and display over the same connector and cable. You just saw Apple include a single USB Type-C in the new Macbook. The new Chromebook Pixel starts at $999 and jumps up to $1299 for the LS version.